Hours after his birth, Breeze was found by a farmer, the new-born foal had been abandoned by his mother so the farmer took him to the Devon-based Mare and Foal Sanctuary where they cared for him. 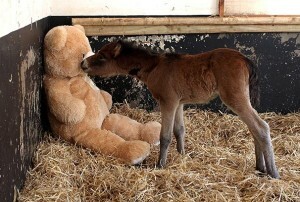 One of the staff put a four foot giant teddy bear called Buttons into the stall with Breeze. 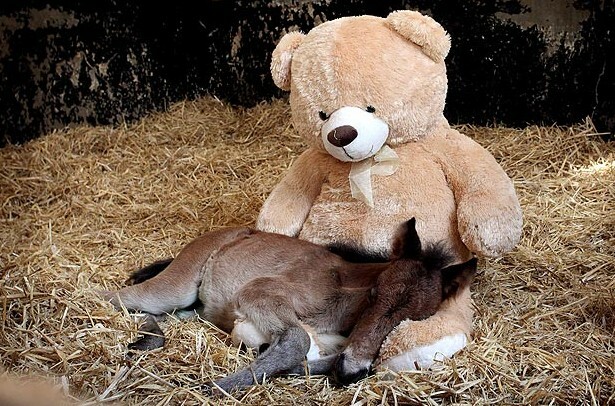 The foal instantly came up to him and found a comforting replacement for his mother… the two are inseparable!